Cloud hosting services have evolved in recent years to become major players in the business sector. Not only have they pulled us away from a flash drive-driven world, but the alpha dogs in the industry are raising the stakes as they file for IPOs, grappling to stay atop the new world order. The two major players in the game are Dropbox and Box, both of which have received ample press for their billion dollar valuations and publicly-declared lofty goals. 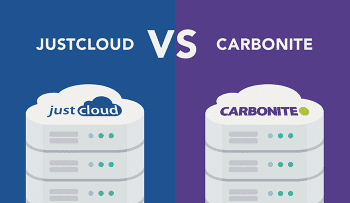 To help you decide which cloud hosting option is best for your business, we’re looking at all the bells and whistles these two tech giants provide. Here’s what we’ve come up with. Business Plan Dropbox for Business costs $15/user/month and gives you as much storage as you need. There is no file size limit. Box’s Business plan costs $15/user/month and gives you 1000 GB of storage. There is a 5 GB file size limit. Additional Notes This is Dropbox’s highest tier business plan and it boasts all of what Dropbox has to offer in terms of sharing, syncing, and security. Box has higher tier plans that provide more security features if needed- at higher price points. Box makes it no secret that they’re geared for large business/enterprise solutions. While Dropbox gives you the features you need to get going with your business, Box is the bulked up alternative for when you want to hit the accelerator a little harder. We want to focus on the Business tier plans for each company. They have a lot of overlapping features, but, at this price point, they also offer enough variation to truly distinguish themselves. Neither Dropbox nor Box is available across the board on every platform, but each offers support for the major players in the industry. Encryption They use 256-bit AES and SSL encryption. They use SSL and At Rest Encryption. Two-Factor Authentication They employ two-step verification and this extends onto their mobile products; security check is enforced on mobile. Yes, but this two-step check doesn’t extend onto mobile devices under this plan. File Preview Handles a limited number of files in preview mode; the other files only have save/download options. All files have option to be opened in preview mode. File Editing This is not a native feature. This is a major native feature. Collaboration This is not a native feature. Box’s killer feature allows files to be collaborated on simultaneously and outside users can join in, too. Microsoft Office Integration While there are workarounds, this integration is not native. This is a native feature. App Integration Dropbox works with over 100,000 apps (including HipChat, 1Password, and Asana) to help you work efficiently. Box has their rich OneCloud ecosystem that works with apps like Documents To Go, Docusign Ink, and PDF Expert. Selective Sync Dropbox’s killer desktop feature allows you to choose the folders you want to be synced to your computer. Box, as of now, does not provide this feature. It really depends on what you’re looking for here. On the one hand, Dropbox isn’t a collaboration product; it’s a hosting/sharing product. Box, on the other hand, is a robust collaboration product. But since a major aspect of business relations is communication and collaboration within and across teams, the nod here goes to Box. Version History Unlimited version history points for those that need to go back to check a previous version. This plan only offers the 50 most recent version history points for each file. Version Recovery Unlimited version recovery points for those that need to recover a deleted file. Box’s Business plan, as of now, doesn’t offer version recovery points other than the ability to restore files in its trash folder. Access Tracking You can track logins, devices, and locations of team members. You can track basic access stats, with the additional boon of auto-expiring and/or locking files. Activity Audit Detailed audit logs are available. This plan does not offer detailed audit logs. Single Sign On (SSO) and Active Directory Yes Yes, but allows only 1 integration. Dropbox offers more here in terms of native security features. 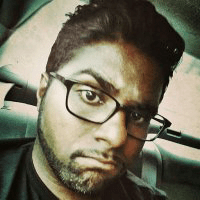 It must be noted, however, that these features that aren’t available for Box’s Business plan are available at higher tiered plans that they offer. For the purposes of this comparison, though, Dropbox has a more impressive enhanced security feature set. Dropbox’s website is as minimalistic an approach as they come. There’s a home screen that lists files and folders and a sidebar to help you navigate to other features. The home screen is devoid of clutter, leaving you with a simple interface with which to work. Box’s website is designed with the corporate world, folder taxonomies, and collaboration in mind. While it may not take a whole lot of getting used to, the plethora of options that are readily-available might seem daunting for some users. It depends on what you’re looking for here, but Dropbox’s simplicity across platforms wins. 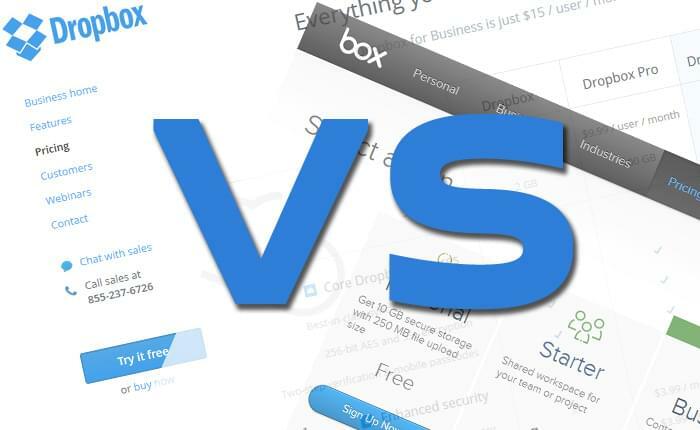 Both Dropbox and Box are giants of the cloud hosting industry and they both have unique approaches for businesses. While Dropbox focuses on making their user experience and hosting/sharing as painless as possible, Box turns their attention to collaboration and teamwork tools. Each company excels at what they focus on, so it comes down to what you are looking for from them. At the $15/user/month price point, we feel that Dropbox for Business offers a business more bang for the buck. There’s less security issues to worry about, less clutter to worry about, and files are available on pretty much any device you can think of.